It used to be that private islands were the playgrounds of the ridiculously rich and fabulously famous. Then cruise lines got into the game. 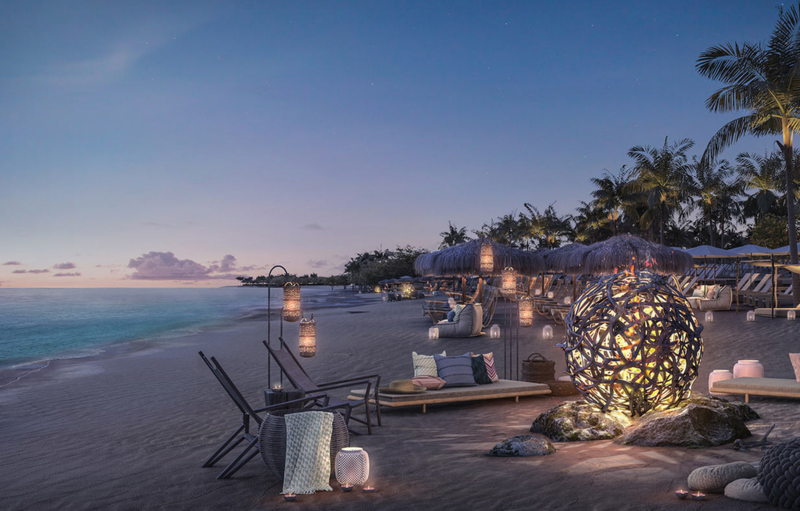 Now, cruise lines are competing with each other to build exclusive tropical enclaves in the Caribbean for their guests to experience not just a day on the beach, but create travel memories they can't get anywhere else. Most of the actual private cruise line islands are small, uninhabited islands ('cays', pronounced 'keys') among the hundreds of islands in the Bahamas, like the very first cruise line private island in the Caribbean, Norwegian's Great Stirrup Cay, Holland America's Half Moon Cay (WATCH VIDEO OF HALF MOON CAY HERE), and Disney's Castaway Cay. Harvest Caye is a private island off coast of Belize. It's for guests of sister cruise lines Norwegian, Oceania and Regent. But the term 'private islands' has also expanded to include private cruise line day resorts developed on larger, inhabited islands, like Labadee on Haiti for guests of Royal Caribbean, and Princess Cay on Eleuthera in the Bahamas. And cruise lines continue to acquire real estate to up the ante on the ultimate resort experience for a day ashore on the beach. Whether you've never stepped foot on a cruise line private island, or you've got a favorite you cruise to over and over again… check out these new private island destinations you can only reach by cruise ship. They're all in the Bahamas, but designed by three very different cruise lines, and offer three very different private island experiences. Find your cruise line private island match! 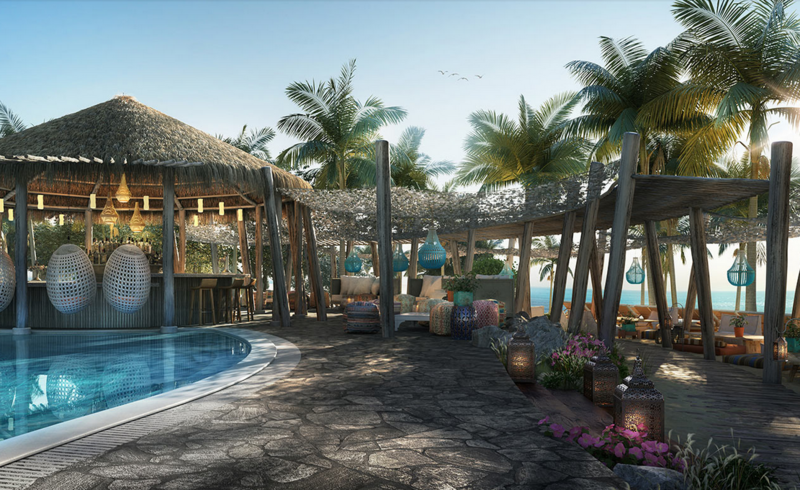 As Sir Richard Branson launches his new, adults-only cruise line, Virgin Voyages, and its first flagship, the Scarlet Lady, he also launches a private island destination just for Virgin Voyages guests. No, not HIS private island. 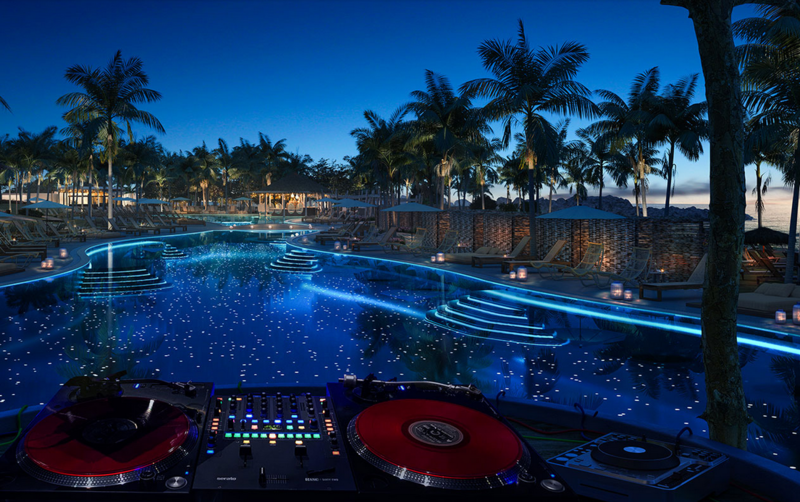 But The Beach Club on the Bahamian island of Bimini takes its cues from Sir Richard's famously high-living, party-loving, music industry persona. Along with exquisite beach and turquoise water, The Beach Club provides an atmosphere like beach party destinations Ibiza and St. Tropez. A detox/retox formula starts with beach yoga and meditation to the sounds of the sea earlier in the day, chilling in hammock groves and cabanas, snacking on complimentary, locally-sourced island cuisine and sipping cocktails from 6 bars, playing on the beach and taking part in watersports, leading up to in-demand DJ-led pool and flotilla parties in the evening, and finally winding down late at night with a beach bonfire and acoustic music before a very late night ship departure. Only 65 miles off Miami, MSC will also be able to offer late night departures from its new private island (pictured, top). 7 beaches, each with its own atmosphere and experiences, ranging from shallow paddling for small children to water sports. Dining includes food trucks that incorporate local flavors, and multiple bars including one inspired by Hemmingway's famous taste for rum cocktails overlooking the ocean. MSC's Aurea Spa treatments are available on shore at Ocean Cay. And shopping includes vendors of local arts and crafts as well as branded items. In addition to the usual beach-side water sports, Ocean Cay offers eco-friendly soft adventure experiences like kayak tours and snorkel safaris highlighting the natural beauty of the island and its seas. Ocean Cay is surrounded by dozens of square miles of protected seas, and that's the point. 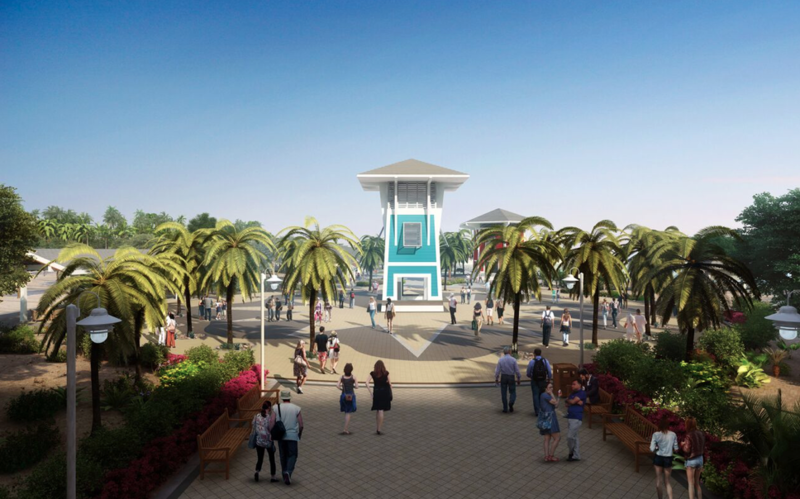 The development protects the local wildlife and ecosystem, and there are plans for a coral nursery to actively contribute to the region's environment. Royal Caribbean ships are whirlwind experiences of ice skating rinks, climbing walls, theme park type rides, restaurants and shopping… more than you could hope to ever do in a single week of cruising. 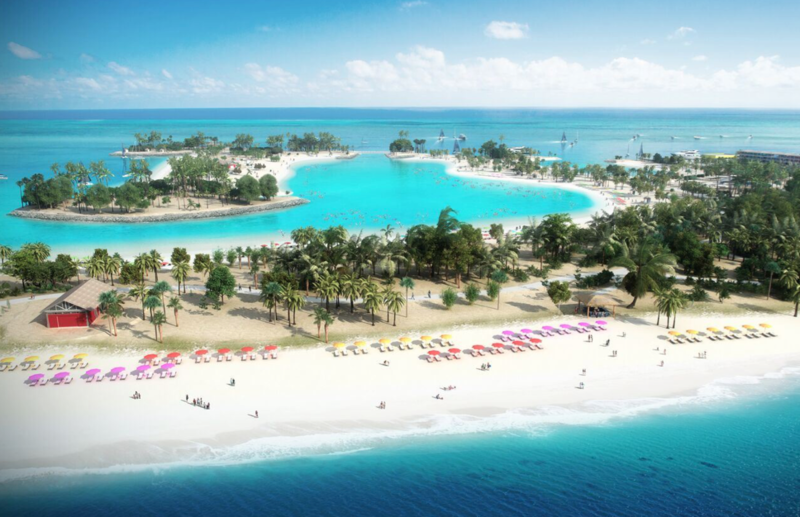 Its new concept, 'Perfect Day', is a collection of private islands around the world that take 'thrill and chill' to a new level, beginning in the Bahamas with 'The Perfect Day at CocoCay'. 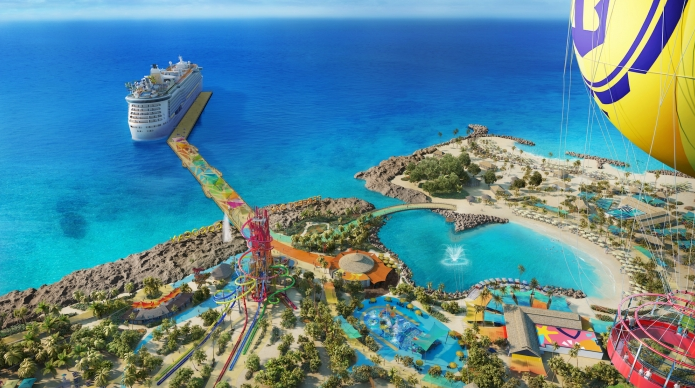 Perfect Day at CocoCay is a shopping list of record-breaking builds, adrenaline-charged activities, and unexpected firsts: The tallest waterslide in North America. The largest wave pool in the Caribbean. The first overwater cabanas in the Bahamas. The Up, Up and Away helium balloon ride that takes you 450 feet up to the highest viewpoint in the Bahamas. A soaking by 30 water cannons on a shipwrecked galleon, and an 82-foot geyser. A 1,600-foot zip line – ending with the only splash water landing in the region. A freshwater infinity edge pool and bar, spanning a whopping 2,600-plus feet. And a whole host of other dining, drinking, and shopping activities to pack a full day even fuller. 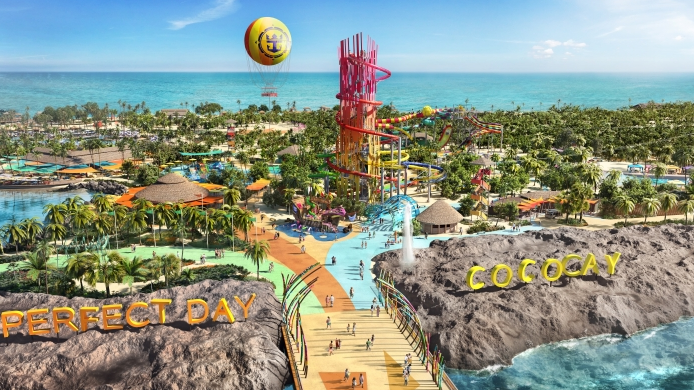 Royal Caribbean believes Perfect Day at CocoCay will live up to its name – and set the scene for more Perfect Day Island Collection destinations in the Caribbean as well as Asia and Australia. These 3 wildly diverse new cruise line private islands prove: there's a perfect new cruise – and a new cruise line private island - just waiting for you to discover.